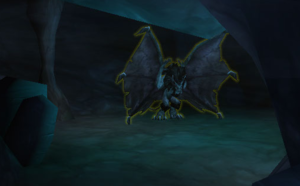 The Sun Darter Hatchling is a secret pet hidden in World of Warcraft, in the back of a mysterious cavern. 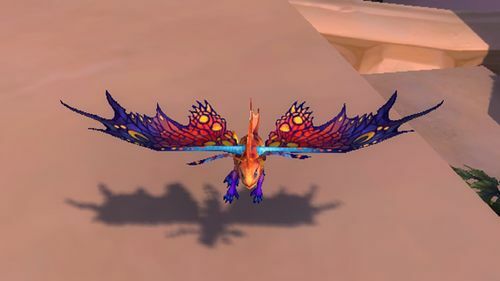 The Sun Darter Hatchling is a secret pet hidden in World of Warcraft, made by Blizzard Entertainment. 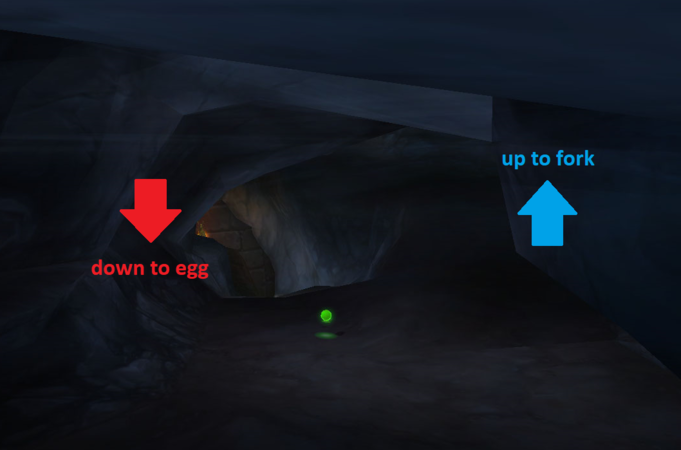 The Hatchling is found at the back of the Cavern of Consumption, which contains several puzzles. Failing one of these puzzles will either impede your progress, or reset your progress outright, so make sure to follow this guide diligently! 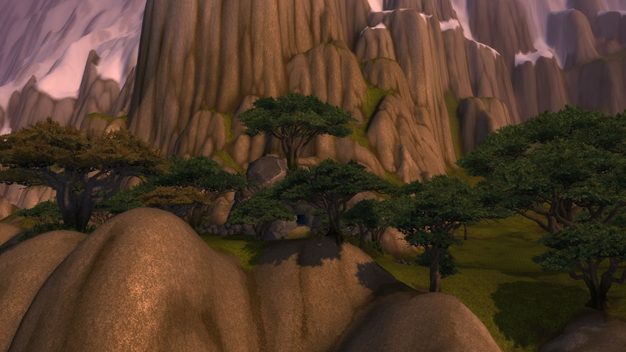 On June 16, 2017, the Cave of Consumption was discovered along the north coast of Winterspring, at coordinates (57, 16). Upon entering the cave, players are immediately confronted with the first puzzle. 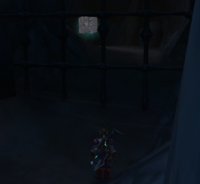 The first puzzle players encounter in the Cave of Consumption consists of two elemental barriers: a fire barrier, and a fel barrier. By using a Major Fire Protection Potion, players are able to pass through the fire barrier unhindered. Since fel magic is comprised of all schools of magic, the fel barrier can be bypassed by drinking the other 5 types of Major Protection Potions (Arcane, Frost, Holy, Nature, and Shadow). Beyond the elemental gates, there is a stone gargoyle named Diligent Watcher. 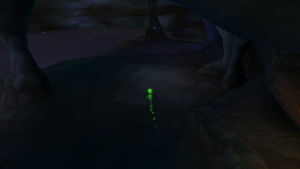 Attempting to cross its path, which the player must do to continue deeper into the cave, will instantly teleport the player outside of the cave. However, if the player is in skeleton form, obtained by consuming a Noggenfogger Elixir, they will be able to pass the gargoyle undetected. The predominant theory is that the gargoyle can only detect living beings, and while in skeleton form, the player is not technically "alive". In the next section of the cave, the path splits: one tunnel is covered with impassable vines, and the other is blocked by a blue water barrier. Using a Scotty's Lucky Coin charge will transform the player's character, and attune them with the vines. In this form, the player is able to pass through the vines to the room beyond. Behind the vines, there is a pool of water which contains several Water Stones. Collecting one and using it adds the Wet buff to the player character, which lasts for 15 minutes. This buff allows the player character to pass through the blue water barrier, and continue deeper into the cave. After passing through the water barrier, the next room in the cave contains a Stone Golem. Much like the Diligent Watcher before it, trying to cross in front of the Stone Golem will teleport the player outside the cave. Consuming a Dire Brew to change the player's appearance into that of a Dark Iron Dwarf allows the player to pass the Stone Golem. One theory explaining this puzzle is that, according to dwarven lore, dwarves were once made of stone before they were made of flesh. At this point in the cave, the path branches - a ramp leads downwards, and another ramp leads upwards. The downwards ramp leads towards the Sun Darter Hatchling's egg, but before the egg can be looted, more puzzles must be completed. At the top of the upward ramp, the path forks yet again, into a room on the left (the "Wisdom Cube room") and a room on the right (the "Strange Stone room"). I am the Wisdom Cube. > What wisdom do you hold? I have been imparted with the knowledge of the timeless ones. > What is your purpose? I am capable of granting the sign of the first. > What do you require? My creators seek a most amusing heir. The amusing heir the Wisdom Cube is referring to is the Perky Pug wearing the "Little Princess" Costume; summon the Perky Pug and use the costume. Choosing this option grants the player with a buff, Mark of the First, which is required to loot the Sun Darter Hatchling's egg. After heading up the ramp and taking a right, there is a room guarded by an Ethereal Barrier. Accordingly, drinking Ethereal Oil allows the player character to pass to the room beyond. The room after the Ethereal Barrier contains a Strange Stone, with a conspicuous hole. The objective of this room is to grow the player character's arm to fit the hole by using consumables to increase the size of the player model. This can be accomplished by using a Gordok Ogre Suit and a Winterfall Firewater. After interacting with the Strange Stone, the player is granted a buff, Mark of the Second, which is required to loot the Sun Darter Hatchling's egg. 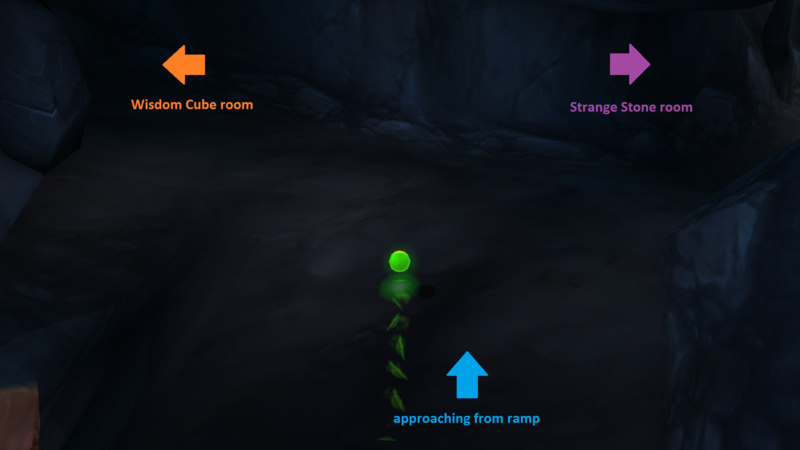 After solving either the Wisdom Cube or Strange Stone, the room at the base of the downwards ramp is unlocked. Inside this room, the Sun Darter Hatchling's egg rests across a body of water. However, touching the body of water teleports the player outside of the cave. Both the Mark of the First and the Mark of the Second buffs are required to reach the pet. The smallest leap of the mind refers to a Level 1 Scroll of Intellect. Using this scroll will allow the player character to cross the water unhindered. Note: You may have to right-click to cancel some of your existing buffs in order to use the Level 1 Scroll of Intellect - it is safe to do so at this point. Also, some players have reported failing the puzzle despite having used the Scroll of Intellect. To prevent this, hug the right wall of the cave. After reaching the Sun Darter Hatchling's egg, the Sun Darter Hatchling can safely be looted. Enter the cave and use all 6 Major Protection Potions. 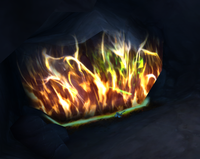 Run through the fire and fel barriers. Use Noggenfogger Elixirs until you turn into a skeleton. Run past the Diligent Watcher. Use Scotty's Lucky Coin and walk through the vines. Grab a Water Stone from the pool of water and walk through the vines again. Use the Water Stone and walk through the blue barrier. Use Dire Brew to transform into a Dark Iron Dwarf. Walk past the Stone Golem. Walk up the ramp and turn left - you should see a gate. Use Pygmy Oil until you transform into a gnome. Walk through the gate. Summon Perky Pug (Battle Pet) and use the "Little Princess" Costume. Interact with the cube and select <Place arm beneath cube> to gain the Mark of the First buff. Go back through the gate and look for a purple barrier. Use Ethereal Oil and walk through the barrier. Use Gordok Ogre Suit and Winterfall Firewater, and interact with the stone in this room to gain the Mark of the Second buff. Head down the ramp into the lower-most room. Before crossing the water, cancel the Winterfall Firewater buff and use a Level 1 Scroll of Intellect. Cross the water and loot the pet.